What should you, however, keep an eye on? Empire Contractors LLC discusses more. Overhanging branches near your roof can damage your shingles and can become a way for tree-living rodents to get to your roof. These animals and pests can gnaw on portions of your the system, which will inevitably lead to damage and vulnerabilities come a storm or even a simple rain shower. Leaves that accumulate on the rooftop, on the other hand, are also an issue. When dry, they can accumulate in the gutters (which we’ll cover in the following section), or when wet, they can get stuck in areas throughout the roof and accumulate even more moisture. This can lead to damage on your roofing surface if left unchecked. As mentioned earlier, anything that accumulates in your gutters, be it leaves or granules can lead to malfunctioning gutters. Water can overflow from the gutters itself and flow back into your roof, which can lead to pooling water. Not only will this be a possible breeding ground for bugs, but this can also slowly damage the rooftop, leading to leaks and damaged structures, which can be expensive to fix. Worse, water won’t just back up; water won’t travel down the downspouts, which is where it should be passing. This water will, instead, flow up and over the gutter edges, which can stain your siding and even cause some real damage if your siding is old or made of wood. 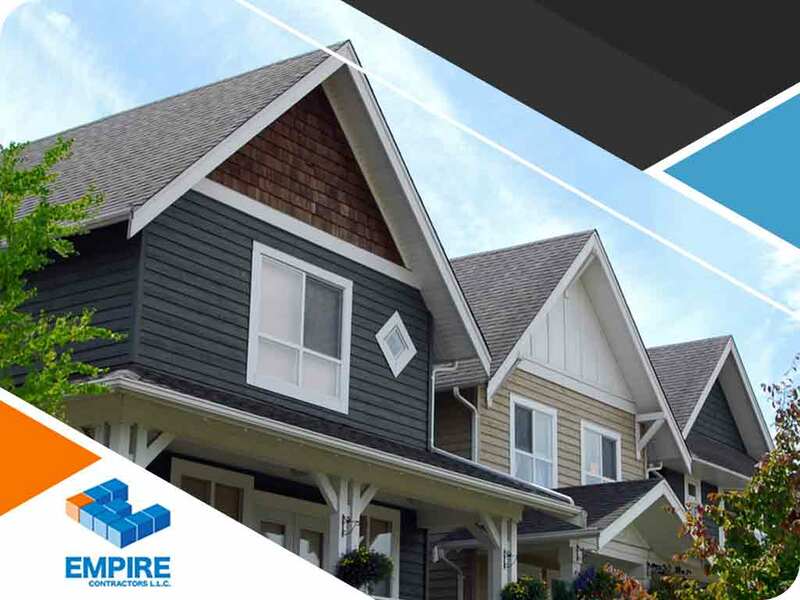 At Empire Contractors LLC, we’re ready to give you a hand with the inspection of your roof and any possible roof repair you might need. Call us at (513) 409-0880 to schedule an appointment with us. Alternatively, you can also reach us through our contact form. We serve residents of Cincinnati, OH.